I have only recently started working for the Civil Service and I wanted to know more about what the Civil Service is all about and what is represents. 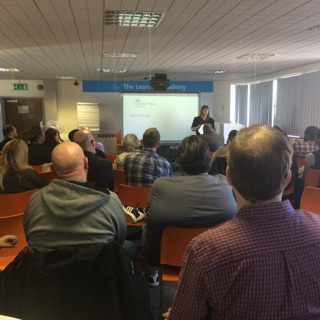 I attended the Civil Service Discovery event on 13th February in Preston in the view of getting a better understanding of the Civil Service. The event opened my eyes to the wider range of Civil Service departments, information on the future of the Civil Service, and providing valuable networking opportunities. The event was led by Claire Hughes who has been with CS Local team for four years and Steve Field, who has been with the CS Local team since 2012. Steve mentioned that the North West region was the second largest Civil Service workforce region in the UK (after London), which came as a surprise to myself. 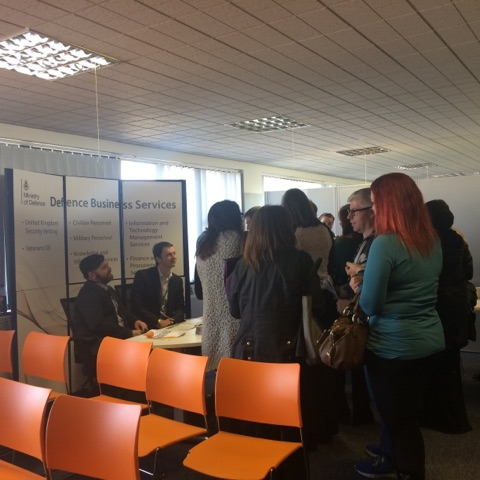 The event included presentations by employees from other government departments, such as DWP, Defence Business Services, Valuation Office, Environment Agency and Animal Plant Health Agency. The speakers for each department gave an overview of what they consisted of, how they operate, what they have achieved and their plans for the future. They also shared their own personal journeys and experiences gained through working in their department. 52,000 Civil Servants in the North West. CSL Reform – Innovative, Inspiration, Contributions, Collaboration. North West region is the second largest Civil Service workforce region in the UK (after London). Helped 32,233 customers in the past 12months. Helped 2,030 people come off benefits and become self-sufficient. Offered 6000 Provisions (College, National Carers, Princes Trust, Learn Direct, Preston Chamber of Commerce, NEA – Self Employment, Lancashire wellbeing Service). Services include MOD Payments, Recovering Civil Servants injured abroad, General Checks. Veterans Support including; Pensions, Helpline, Welfare Service. Part of HMRC and has been around for over 100 years. Officer are value properties, carry out inspections, Surveys, admin valuations for Inheritance tax etc. Focus on rates for Council Tax, Business Rates and are not a charging authority. Reduce risk to People and Land. Improve and protect Quality of water (includes working alongside United Utilities, Anglian Water, Local Authorities, DEFRA). Protect and enhance the land and wildlife. Established on 1st October 2014. After the presentations were completed the event gave the attendees a chance to speak to each department at their individual stalls in more detail. They each had information leaflets, books and were open to any questions we had. I found the event very informative and interesting as it enabled me to learn about other Civil Service Departments and what they have to offer. I would highly recommend this event to all Civil Service Staff across all departments.